Instalift is a face lift procedure for the lower face area. 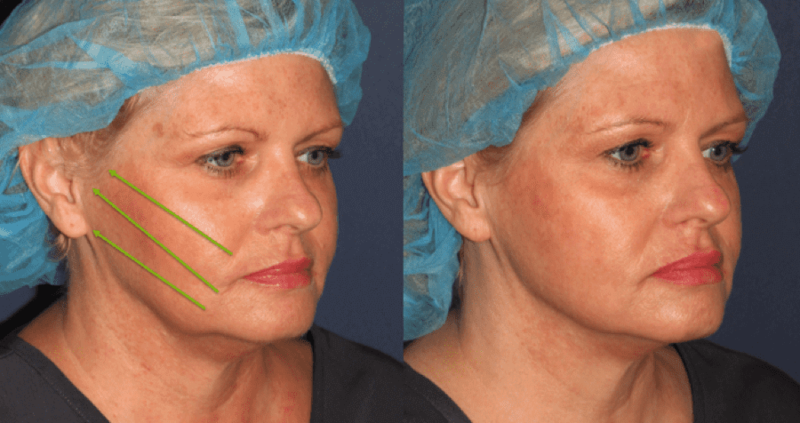 The procedure uses a filler material as suspension threads that set the lower face where it is supposed to be; as this material dissolves, it is replaced by collagen that leads to multiple years of facial hold. When Might Instalift Make Sense? If you are seeing early signs of facial aging but not enough to warrant a facelift, Instalift may be a good option for you. The ideal patient for Instalift has strong underlying bony projections, good skin quality (skin that is neither too thick nor too thin) and with tissue that can be mobilized during examination. If you suffer from heavy, excess skin, or heavy wrinkles, Instalift may not be the best option for you. Instalift is performed in our Upper East Side office, and takes about 20 minutes. The procedure is completed in 4 steps. Risks of Instalift include swelling, bruising and dimpling. For the most effective recovery, adhere to the following guidelines.